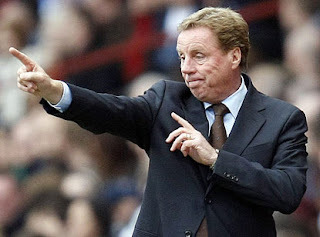 Home capello darby england euro 2012 football manager redknapp Steve Darby: Next England Manager? As another week flies past, we find ourselves seven days closer to the end of Euro 2012. 266 days to be precise. That is until the evening of the final, not that many fans or pundits realistically expect England to still be in the competition by that stage. 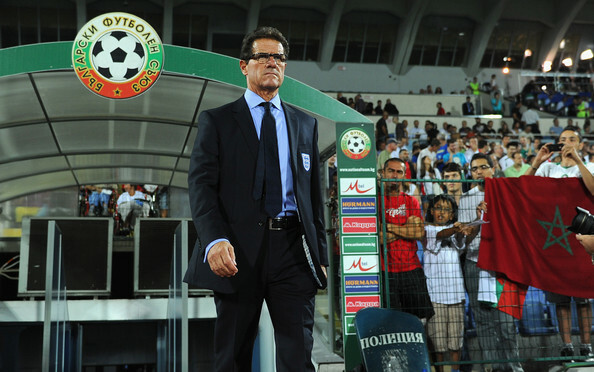 What is so important and interesting about the 1st July 2012 is that it will mark the end of the reign of Fabio Capello as the coach of the England football team. It has already been made clear that he will not be staying on beyond that point. So the question remains, who will replace him? As regular as clockwork over the past decade, the argument has ticked around to whether an Englishman should coach the national team. When Kevin Keegan walked out on England after a dismal defeat in the final match at the old Wembley stadium, the FA made the controversial appointment of Sven Goran Eriksson. The Swede became the first non-Englishman to ever manage the England international football team. Keegan left with the worst winning percentage of any England manager in history – English had clearly failed, so why not go foreign? When Eriksson was eventually hounded out by the press, his record stood up admirably. Three consecutive quarter-final appearances in tournaments and the third best winning percentage since Sir Alf Ramsey. However, he was not English. The press had come in a full circle and wanted a home-grown manager. The FA initially plumped for Phil Scolari, but before he could even sign on, he changed his mind after the antics of the press. Steve McClaren was the man who eventually took up the position. An Englishman was back in the hot seat. Fast forward 18 months and England were once again looking for a new manager. It has to be the best man for the job, regardless of nationality, the press declared. If no Englishman is good enough, go foreign. Step forward Fabio Capello – one of the most decorated managers in football today. A great decision by the FA proclaimed the media and fans. So to today. 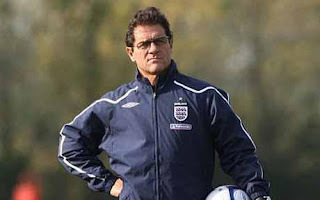 It has to be an Englishman to succeed Capello. The journalists are telling us that. Current and former players are telling us that. Harry Redknapp is telling us that (presumably as he is virtually the only Englishman that would be considered). The Premiership has been running for twenty years now. The last Englishman to win the Premiership was… nobody. No Englishman has ever won the Premiership. OK, skip the league then. There have to be plenty of English managers that have won a cup then. Harry Redknapp has almost thirty years as a manager. He has won a major trophy. One major trophy. The FA Cup with an expensively assembled Portsmouth team that the club could barely afford. There is no other English manager in the Premiership that has won a major English trophy. Despite his lack of success in England, Roy Hodgson is a standout choice. One of Europe’s most respected coaches, he has won league titles in multiple countries, he has reached a major European final with Inter and he has extensive experience managing international teams. But six unfortunate months at Liverpool have turned him from media darling to incompetent idiot. So, our shortlist is living up to its name. It is horrifyingly short. Harry Redknapp is almost certain to get the job by default. He is the media darling. Ignore the fact that he polarises football fans – he is hated by a significant proportion of football supporters. Ignore the fact that his shady background has still not been entirely cleared up. Ignore the fact that he himself wrote an article about not understanding most of the jargon and obsession with modern coaching. He prides himself on being able to spot a player. It is no surprise that he has a major overhaul of the players at any new club he joins. He works well with his type of players and surrounds himself with them. So, we are ignoring the fact that he cannot sign players at international level. He has to make do with the players that he has at his disposal. Has he ever proved that he can do this? Not once. But everyone will ignore this. The media love him. Thus, he will be the next England manager. Ignoring Harry Redknapp and Roy Hodgson leaves us with an intriguing shortlist for the next English England manager. By intriguing, I really mean completely blank. Foreign coaches have not delivered the desired success and the past English managers have not delivered the desired success. So why not try something completely left field? I propose a new candidate. 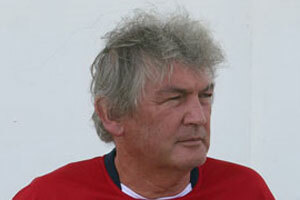 At the time, he was one of the youngest coaches to receive his UEFA ‘A’ Licence over thirty years ago. He worked for FIFA in third world countries developing the grassroots networks, the lack of existence of that is currently under scrutiny in England. He spent five years as national development manager for the Australian Soccer Federation, where he was responsible for bringing through the likes of Lucas Neill, Mark Viduka and Brett Emerton. He led his second club to their first ever cup triumph as a second division side, followed the next season by promotion back into the top flight. After this, he won a gold medal coaching in an international football tournament, before turning his next club side into the country’s dominant team, finishing both in the top two and reaching the cup final for three consecutive years, and reaching the semi-final of the continental club competition for the first time in the club’s history. At his next club, he finished runner-up in the league, took them to two cup finals and reached the quarter-final of the continental competition – the furthest a team from that country has ever progressed. Then, most recently, he held an assistant manager job at international level. Not only this, he is English. So, let us look through the checklist. Is he English? Check – born and bred in Liverpool. Has he won major trophies? Check – four league titles, three cup competition and an international gold medal. In multiple countries? Check – titles in three countries and cups in two countries. Managerial experience? Check – over fifteen years of managerial experience and over thirty years since he first gained his top level coaching badges. International experience? Check – in both men’s and women’s football. 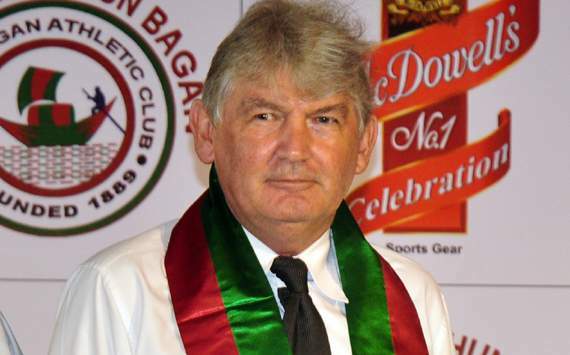 He is one of the most respected coaches in the entire of Asia. A great deal of the credit for Australia’s emergence as a serious footballing must be given to him. He is a commentator for ESPN in Asia on Premiership football. He has a degree in Physical Education from the University of Leeds and a masters degree in Sports Administration from the University of Canberra. He speaks five languages. So, the league titles may have come with the likes of Johor FA, Home Utd and Perak FA. The international experience may be with Vietnam and Thailand. His success still speaks for itself. He ticks virtually every box. So, I propose Steve Darby as the successor to Fabio Capello as England manager. Will he get it? Of course not. Will he even be considered? Of course not. But the current candidates hardly set the pulse racing. Why not try something completely different?